I’ve rarely had such a lovely Christmas and New Year. I have to say I think it’s largely down to the fact that Ferg had so much time off but it was also just generally brilliant. Ferg and I have started a tradition of going out for a hot date on Christmas Eve and this year we met his dad for dinner at the hotel he was staying at. That was lovely. Then, we went on for a drink, which was lovely and then we stayed up too late nattering and that was lovely too. Christmas day was just us five, my mum and Ferg’s dad, and that was very relaxed and… you guessed it, lovely! New year was with our best friends and they are basically just LOTS of fun. Our children love each other and it’s always just easy. Weirdly, despite my whinge about Isabelle not going to sleep at bedtime she actually slept through until 6am for all three nights we were there, so we weren’t even ruined by lack of sleep. Heaven. So, home and Ferg’s back to work. 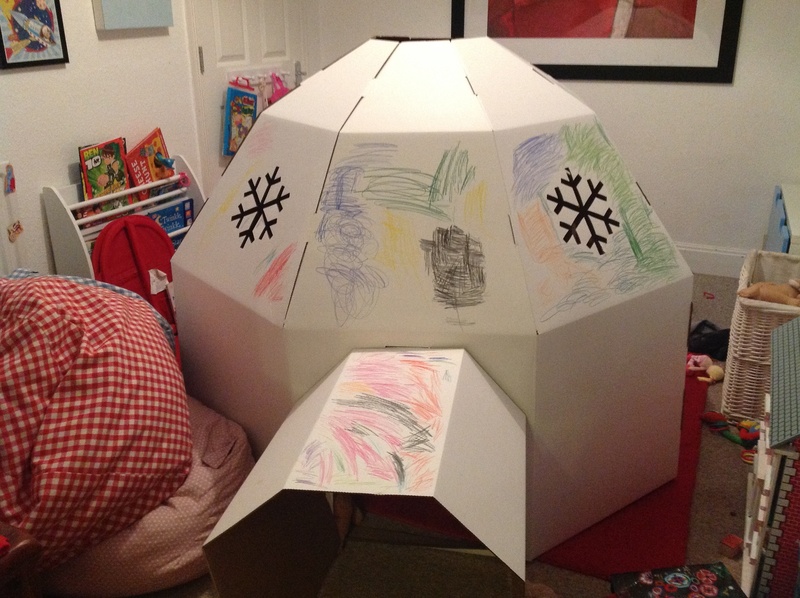 The lovely thing was that we hadn’t made our cardboard igloo yet so we made it this morning – which was great for about an hour and a half and then largely forgotten, kids eh? After, playing inside it for a while, the kids then decided to colour it in with pencils, fuelled by some frenzied pencil sharpening from me. Anyway, it’s MASSIVE. I don’t seem to be very good at dimensions. Everything I buy is always so much bigger than I think it is. 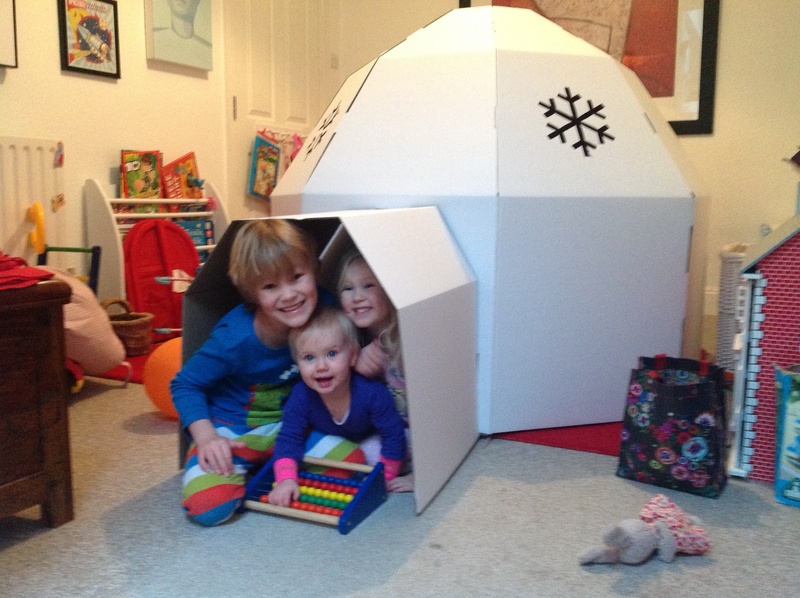 As you’ll see from the photos, the igloo takes up most of the space in the playroom. Fergus is obviously delighted that I bought another massive thing, especially a cardboard massive thing as we’re currently hemorrhaging recycling. We (I say WE, whilst flaring my nostrils and raising an eyebrow) forgot to put out the recycling bin so have an enormous Christmas backlog of wrapping paper and packaging. 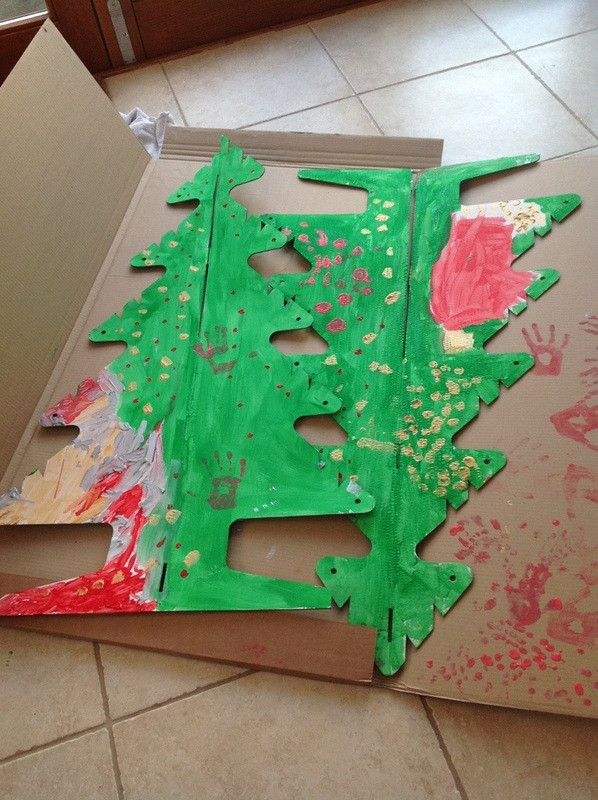 So, a gigantic cardboard igloo which came in a gigantic cardboard flat-pack box is not really a welcome addition to the family. Having said that, I think that after getting a George Forman grill (amongst other things to be fair…) from my husband for Christmas, a bit of extra recycling can be forgiven, don’t you?